My husband took this past week off work for vacation. Our goal was to do a whole bunch of fun day activities instead of heading up to the cottage. Well we didn't have a week of go go go but we did manage to do a little bit of shopping, took the little one to the splash pad, went for a hike and cleaned the house (yes, this one is depressing). Not very exciting but the important thing is the hubs got in some relaxation, well needed relaxation. 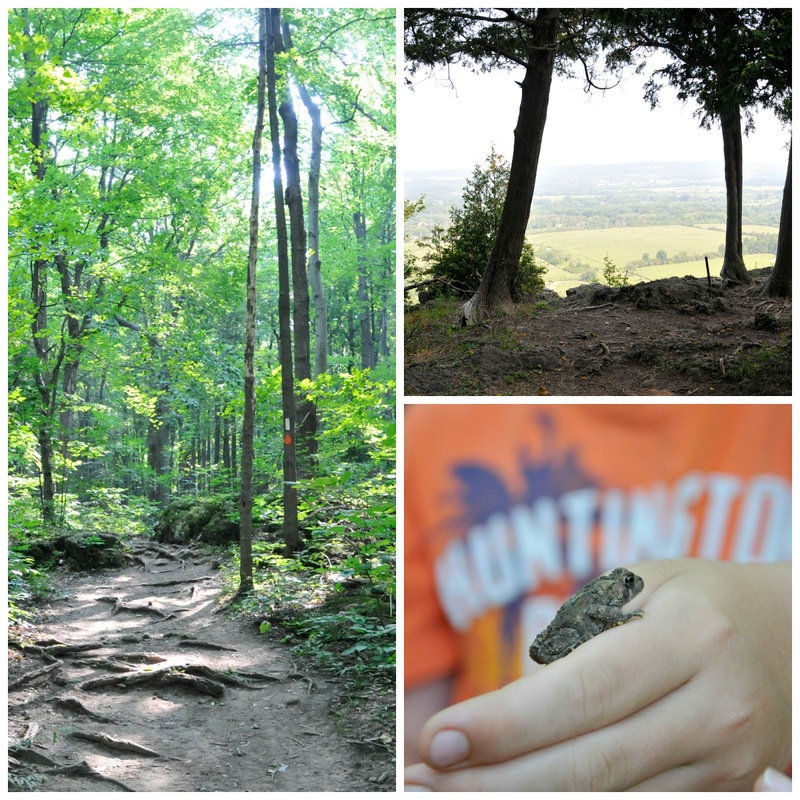 Here are a few pictures from our hike. Funny how you live somewhere all your life and there are some great places to hike and enjoy the view just 10 minutes away. If you follow my blog you don't see a lot of savory recipe but sometimes I get the urge to share something. 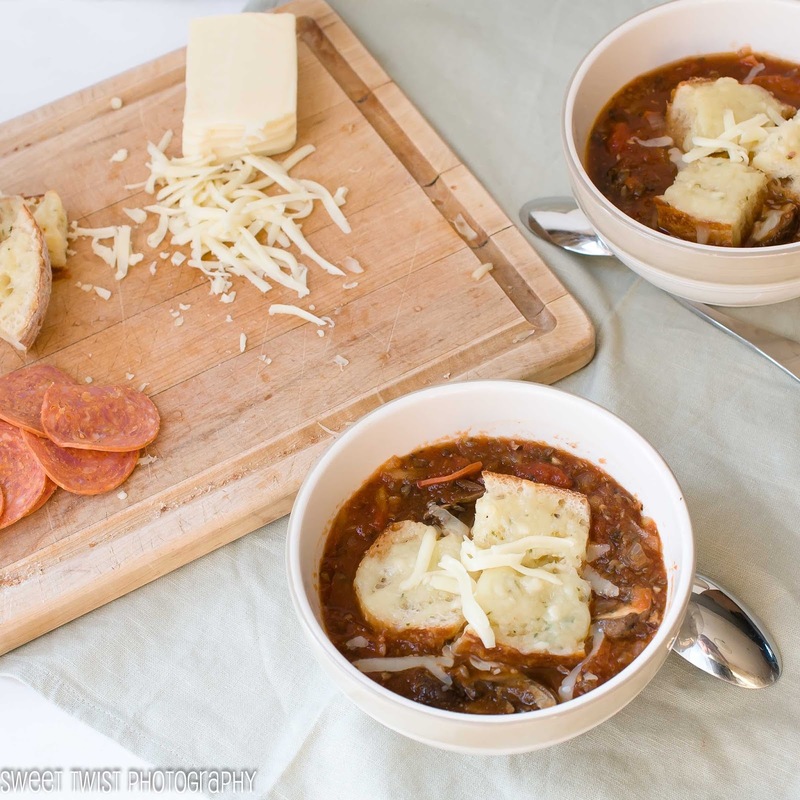 It is also #backtoschoolweek and I wanted to help out the world of busy parents and picky kids with this yummy soup that tastes like pizza. Feel free to hide other vegetables in it if your kids are really picky. 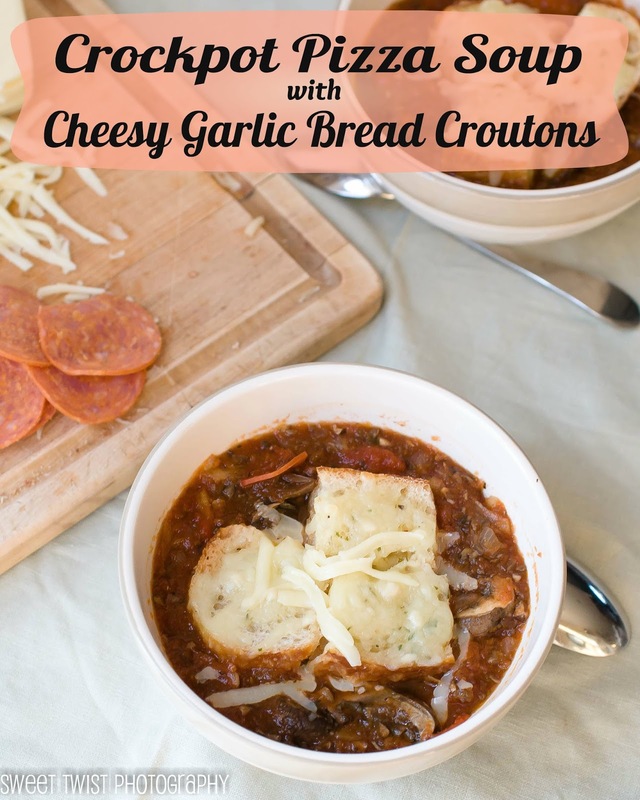 I highly recommend making extra croutons and just letting them soak in the soup, then it really tastes like pizza. Feel free to add peppers or other veggies you might put on pizza as well. 1) With a hand blender, puree down some of the tomatoes. 2) Add tomatoes, onion, mushrooms and beef broth to a crockpot. Set to low. Let simmer 5-6 hours. 3) In the last half hour add pepperoni and bacon. 4) Preheat oven to 400F. Spread the garlic butter/spread onto the bread. Slice into large chunks (1 1/2 inch approx). 5) Place the cheese on top and bake for 4-5 minutes, until cheese is melted. Place croutons in the soup just before serving. Have you entered the giveaway yet. I have added the rafflecopter here for you, just in case you missed it earlier. There is also going to be more prizes handed out at the end of the week during our pinchat. 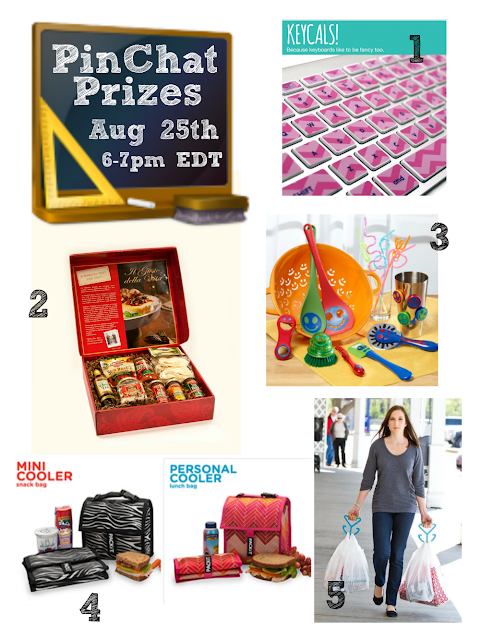 Check out the prizes and details below.